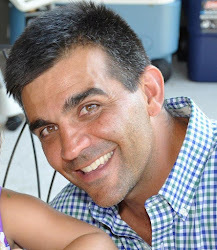 Michael Porter, Equine Veterinarian: White Line Disease and Laminitis in a Horse! White Line Disease and Laminitis in a Horse! 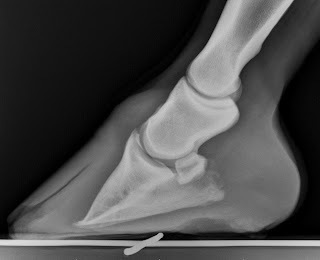 The radiograph in Figure 1 is that of a middle-aged gelding that presented for intermittent foot pain. One year prior, the gelding had developed a high fever of unknown origin (presumed viral). During the weeks that followed the high fever, the gelding was slow to walk in small circle and on concrete surfaces. Over several months, the gelding's lameness improved however he was consistently tender immediately after being trimmed by the farrier. There are 2 disease processes identifiable in Figure 1. The first is chronic laminitis or founder. In Figure 2, the yellow lines correspond to the dorsal hoof wall and the dorsal aspect of the coffin bone. Normally, these lines are parallel to each other such that a horizontal line drawn across them would yield equal angles (angle A and angle B). 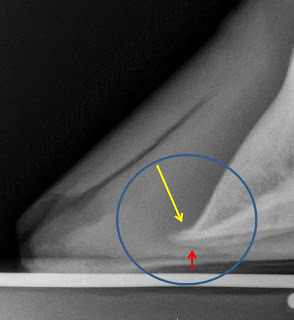 However, when the coffin bone has "rotated" from its axis then the angles will differ as they do in Figure 2. 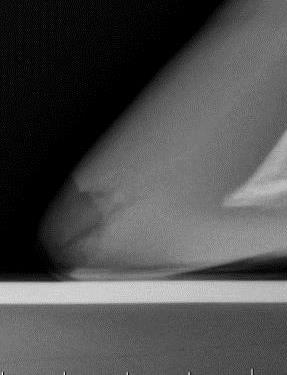 Hence, the radiographic finding is consistent with laminitis (founder) and subsequent coffin bone rotation. This condition appears to be chronic, evidenced by the "flaring" of the tip of the coffin bone seen in the blue circle in Figure 3. This flaring often corresponds to small fractures of the tip of the coffin bone secondary to increase concussive forces over the toe region of the foot. The red arrow highlights the extremely thin sole which measured less than 5 mm! Ideally, the sole depth at the tip of the coffin bone should measure between 10-15 mm in thickness. The second disease process noted in these radiographs is White Line Disease. This is evidence by the gas lucency traveling up the dorsal hoof wall (yellow arrows in Figure 4). The lateral radiograph is only 2 dimensional hence it is impossible to predict if this gas lucency is right down the middle of the hoof or if it wraps around the medial and lateral aspect of the hoof. Regardless, the gas lucency corresponds to separation of the hoof wall from the underlying tissue. White line disease may be the primary problem or secondary. In this case, it is likely secondary to the chronic founder/laminits however in primary cases, it can cause coffin bone rotation and result in laminitis. This condition results from the accumulation of dead/decaying material that slowly works its way from the sole surface up the hoof wall. The offending organism is believed to be in part anaerobic bacteria that thrive in a low-oxygen environment and produce gas that can be seen on a radiograph. Excessive gas accumulation may result in hoof wall separation from the coffin bone and coffin bone rotation. Treatment involves aggressive removal (hoof wall resection) of ALL dead and decaying hoof wall to expose the offending organisms. Hoof wall resection along is very effective in treating this condition but it is typically paired with soaking the foot after resection in a variety of solutions to kill off the offending organisms. Often, the early signs of white line disease can be detected at the time of hoof trimming and appear as a shallow crack at the toe region. The opposite foot of this horse had the very beginnings of white line disease evidenced by a small amount of gas lucency noted at the very tip of the hoof (Figure 5). When identified at this early stage, the condition is easily managed with regular balanced 4-pt trimmings by the farrier. Successful management of white line disease is best accomplished through a farrier-veterinarian team effort. The farrier is the most important part of the team since they will be doing 99% of the work. 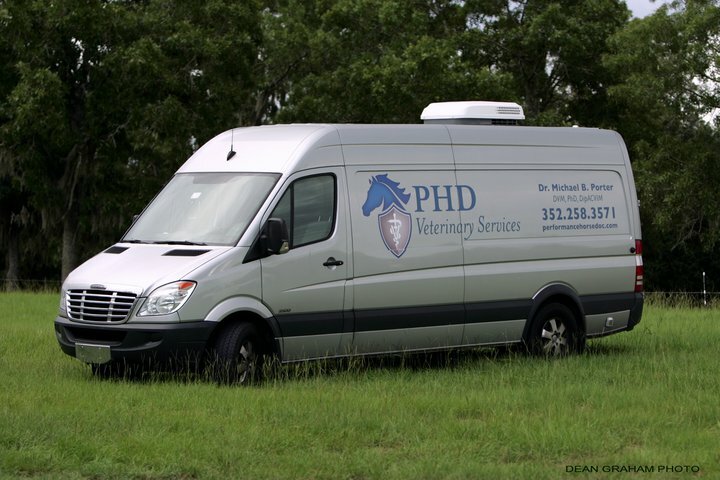 The veterinarian will provide the radiographic studies to verify that adequate exposure of the diseased foot is accomplished. Dr Porter, in your opinion which product is most effective as a soak or spray in the treatment of white line disease?